Let us help you find your next venue for any large or medium events plus smaller residential meetings of any size. It’s all about your event. It may be a corporate day, training, conference, congress, association, meeting, sporting/music event, dinner or awards but it’s important to you so it’s important to us. We can source your corporate venue hire in all the major UK cities, London, Manchester, Birmingham, Edinburgh, Cardiff as well as many country retreats and central locations. We also book overseas and welcome global enquiries. 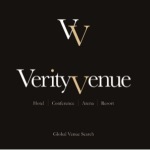 Finding that perfect venue takes time and to get it right, takes expertise… At Verity Venue we understand that first impressions count and your choice of venue could be the factor that distinguishes a good event, from a great event. The good news is that our award winning venue search service is complimentary, plus we also take away the stress of securing your bedroom requirements and this service is also free of charge. 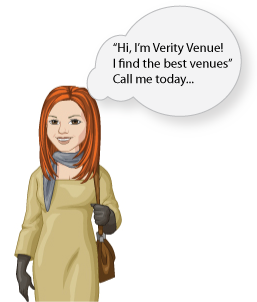 What’s the catch with the Free Venue Search? There isn’t one! Many people ask us how we can offer our venue service for free and the answer is that the venues pay us a commission from their sales and marketing budget that is completely separate from the price they quote you. We are totally independent and not linked to any hotel chain therefore remain totally impartial with access to 115,000 venues all around the world. We guarantee to recommend the best venue for your needs. Together with expert negotiating skills we obtain the best possible price for our clients. Deaville & Co Head Office.